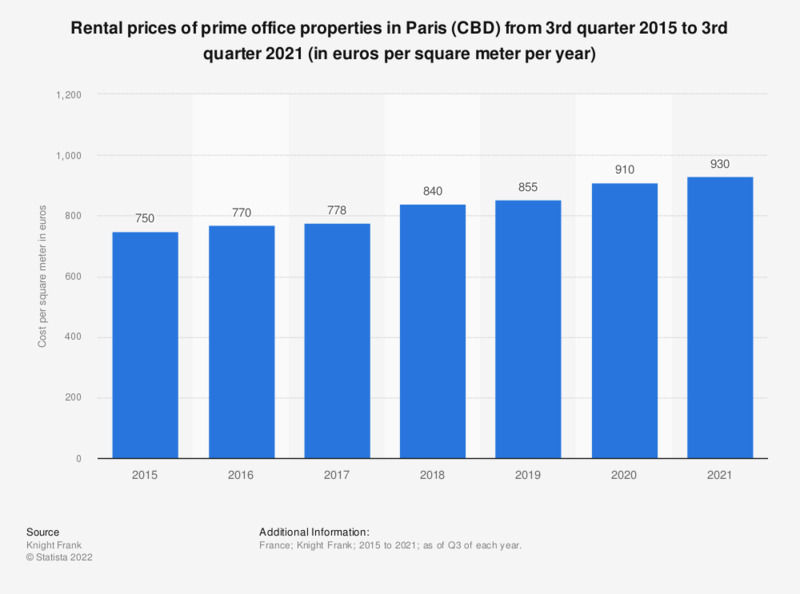 The statistic displays the rental costs per square meter of prime office spaces in Paris (CBD), France, from the first quarter 2015 to the second quarter 2018. It can be seen that the price of Parisian prime office properties grew over time, reaching 830 euros per square meter per year as of the second quarter of 2018. Earlier figures taken from quarterly publications from the same source. * No data provided for the first quarter of 2018.